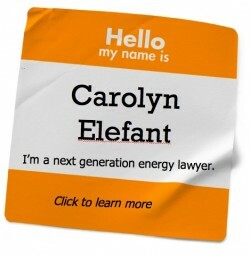 As I described in detail in my June 2012 Next Generation Energy Law Newsletter , several parties petitioned for review of FERC Order No. 1000, with one party filing at the Seventh Circuit and the others at the D.C. Circuit. Per the provisions of 28 U.S.C. sec. 2112, the case has since been assigned to the D.C. Circuit. But looks like the appeals won’t move forward just yet. Since Order No. 1000 issued on May 17, 2012, the 30-day time frame for filing a request for rehearing and/or reconsideration didn’t expire until June 18, 2012 (since June 16, 2012, the 30th day, was a Saturday). On June 15, 2012, the Organization of MISO States filed a request for clarification and/or rehearing, followed by rehearing/reconsideration requests by the Transmission Access Policy Study Group, AEP, OG&E and Midwest ISO Transmission Owners on June 18, 2012 (see petitions here, here, here and here.) As is typical, the rehearing/reconsideration requests seek clarification on narrow points such as the scope of facilities covered by the new ROFR policy or whether certain provisions of Order No. 1000 may limit long term transmission rights for load serving entities as conferred by Order 681. 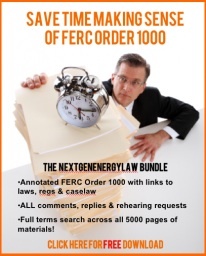 So what happens to the petitions for review while FERC processes the new rehearing requests? For now, nothing since the 60-day period for seeking judicial review runs until July 16. At that point, my guess is that the parties that have sought judicial review will seek to hold the petitions for review in abeyance until FERC resolves the pending rehearing requests. The parties who have already filed for judicial review won’t have to do anything more at this point since the FERC Order was final when they filed. Finality with respect to agency action is a party-based concept so the second round of rehearing requests do not disturb the finality of the order for purposes of judicial review for those parties that already filed. By contrast, if one of the entities that filed for rehearing simultaneously filed for judicial review, its petition would be dismissed as “incurably premature” in light of the pending rehearing request. Is the order final for those who wish to file petitions for review by July 16, 2012, the deadline for filing judicial review? That’s a trickier issue – but in light of the caselaw holding that finality is a “party-based concept,” if I were representing an entity that wished to file for judicial review but hadn’t yet done so, I would file by the July 16 deadline. Most likely, the petition would be held in abeyance and in a worst case scenario, it would be dismissed (though refiling would mean payment of another $450 filing fee). That’s not a great result, but certainly preferable to the potentially draconian alternative that might result by waiting to seek judicial review until after the July 16, 2012 deadline for the Commission to resolve the petitions. In that scenario, an entity could find itself statutorily barred from filing, or limited to the narrow issues raised in the reconsideration requests.